In 2013, Ozzy Tyres took part in the much anticipated Top Gear Festival, which played host to over tens of thousands of people from all over Australia. As the festival's first ever time in Australia, the action-packed motoring event was hosted by none other than the Top Gear Presenters themselves, Jeremy Clarkson, James May and The Stig! The event was held in March last year and will return this year for another fun-filled weekend that will definitely offer more twists and turns than a Formula 1 circuit. 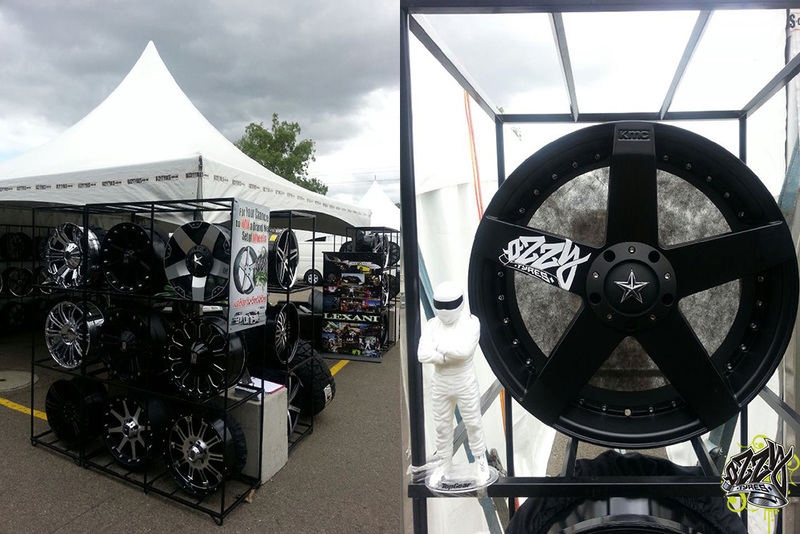 Ozzy Tyres' presence at the Top Gear Festival last year was as rewarding as they come! We were able to partake in the excitement of the two days and surround ourselves with the best and the biggest in the automotive industry. 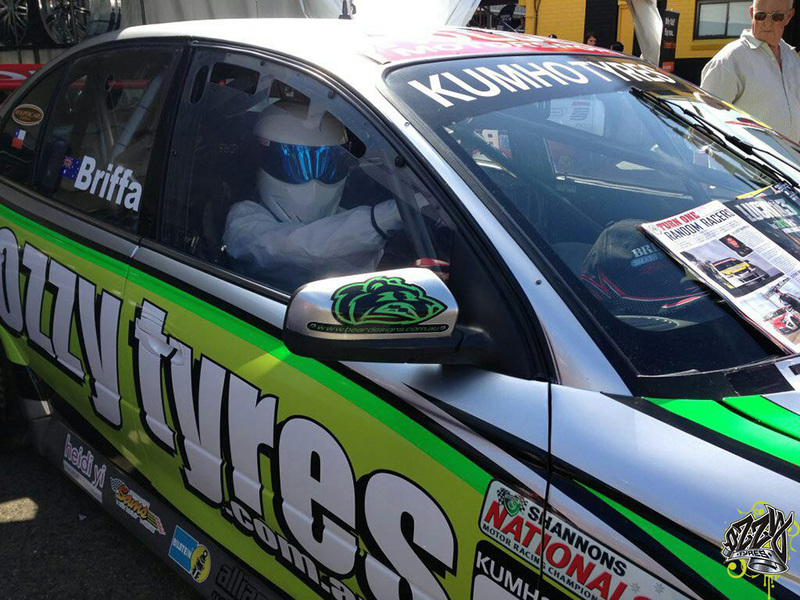 The Stig in the Ozzy Tyres' race car! Now lets see what 2014 has in stall for you! Aussie F1 ace Daniel Ricciardo will pit his Red Bull F1 car against the best of the rest at the Top Gear Festival in Sydney, taking on a superbike, a V8 Supercar, a GT3 car, a World Time Attack Challenge car and a WRC car in an epic five-lap race around Sydney Motorsport Park. You'd remember last year's Race That Stopped a Nation? Not the one with all the horses and those unsettling little people. 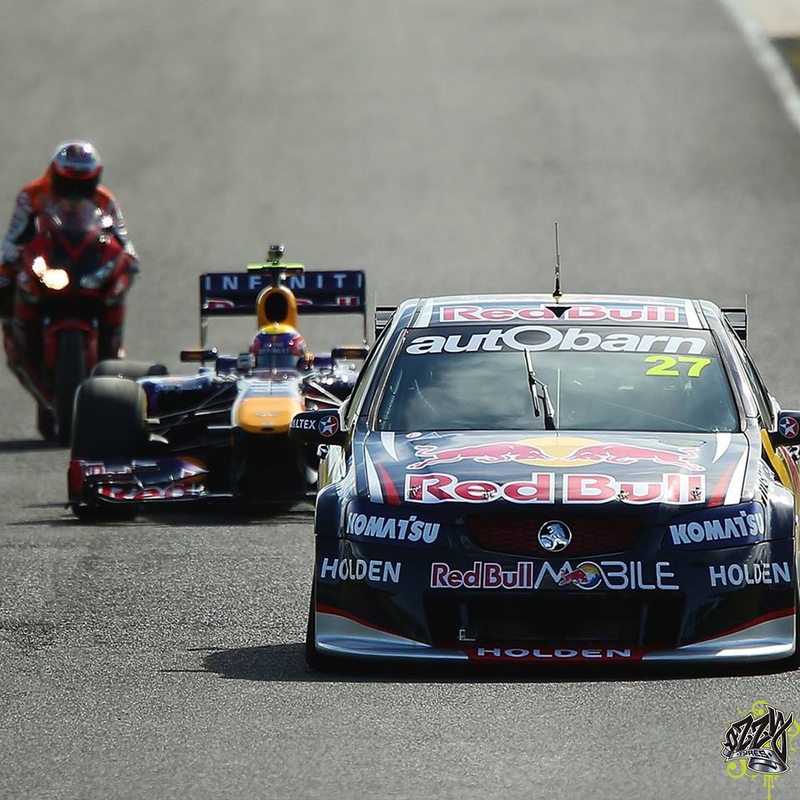 The other one; the one where Mark Webber raced his Red Bull F1 car against Casey Stoner's Superbike and Jamie Whincup's V8 Supercar. Here is a still from Webber's record-breaking lap from last year's festival! It was the undisputed highlight of last year's Top Gear Festival in Sydney, and the awesome sound of that angry F1 engine reverberating around Sydney Motorsport Park will take some beating this year. But beat it they will. The peeps behind Australia's biggest motoring celebration have just announced their plans for a bigger, better, faster race this time around. This time, our six competitors will be battling for the title of "King of the Track" in what organisers are calling the Ultimate Speed Showdown. It starts with Australia's great F1 hope, Daniel Ricciardo, who'll be bringing his 2014 Red Bull F1 car to Sydney in the hopes of smashing the lap record set by fellow Aussie Mark Webber last year, as well as take out the King of The Track crown. He'll be joined by Erebus driver Will Davison, who'll be representing the V8 Supercars. Troy Bayliss will be bringing along his Ducati superbike, Neil Bates will steer a WRC car while Lee Holdsworth will tackle the track in a GT3 car. But the biggest dark horse would have to be World Time Attack Challenge champion Garth Walden, in his physics-defying Evo race car. Each team gets a staggered handicap start to ensure the slower accelerators aren't left beind and to push the race to a gripping finale.